A report filed by WBRC’s Vanessa Araiza on Wednesday pointed to cost overruns related to Regions Field as a major reason for the delay. The council voted on Tuesday to approve paying the remaining expenses to Robins & Morton and A.G. Gaston Construction over a seven-year period. Members of the City Council also alluded to receiving some monthly reports covering progress while not receiving others, despite claims from the mayor’s office to the contrary. The reports are not accessible currently via the city’s official website, though the monthly report for the city’s street and storm sewer improvements program for the period ending December 31, 2014 is available online in part due to a report filed for ABC 33/40 in late January. The current fiscal year’s capital budget is available on the city’s website via the budget office. 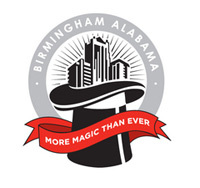 In case you missed it yesterday morning, Mayor Langford presented each of the members of the Birmingham City Council with an HP Mini notebook, comple with capability to connect to the Internet using WiFi and an AirCard courtesy of Verizon Wireless. They also received an 8 GB jump drive containing several city reports, including the budget that they are currently working on and a bag to carry it all in; Birmingham Weekly tweeted a description of the embroidered message. A series of classes will be offered for those councilors and city employees that are interested. The Birmingham News pointed out the total cost of the expenditure in today’s paper, as well as the status of the budget that seems to have encouraged their distribution.